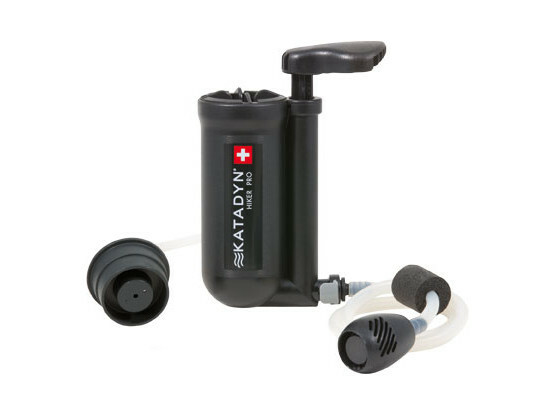 The Katadyn Hiker is a water filter system which can filter bacteria about 0.2 microns. It has a glass fiber element which helps silt and mud from entering the filtration chamber. Aside from that, this filter is also equipped with an active-carbon that helps absorb the pesticides and chemicals from the water. It also comes with hose inlets for the unclean and cleaned water. On the other hand, the Hiker Pro is transparent, which allows you to see the filtering process of the water inside. It also has a glass-fiber element which is used as a filter and filter protector to protect the glass-fiber elements. Upon purchase, you will also receive a quick attach hose system to transport the water to and out from the filtration chamber. Just like the Katadyn Hiker, there are no major changes made on this part for the Hiker Pro. The filter also comes with a carry sack and a bottle adapter. It is also lightweight and easy to carry around. However, it comes with a better host attachments inlets compared to the previous model. The Hiker Pro proves to have a better filtration quality. Aside from its glass-fiber element, it also comes with a filter protector which also acts as another layer of filter. The glass-fiber element can filter a maximum size of 0.2 microns of bacteria. The activated-carbon also helps improve water taste and removes other harmful elements in the water. Its transparent pump makes it easier to see the mud and silt going in and out of the pump as well. 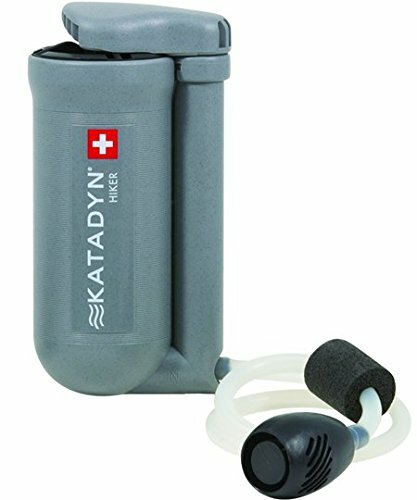 The Katadyn Hiker doesn’t have the clear filter protector, but it can still filter 0.2 microns of bacteria out of the water. It is equipped with an activated-carbon to help remove toxins and other chemicals in the water too. However, generally, the Hiker Pro has more improved features than the Katadyn. In terms of filtering procedures, the Hiker Pro has a better filtering process considering it has added another layer of protection. The filter protector is easy to clean and protects your filter from being clogged. Aside from that, its inlet hoses have an easy attachment feature that helps you save a few more seconds from attaching and removing the inlets when needed. 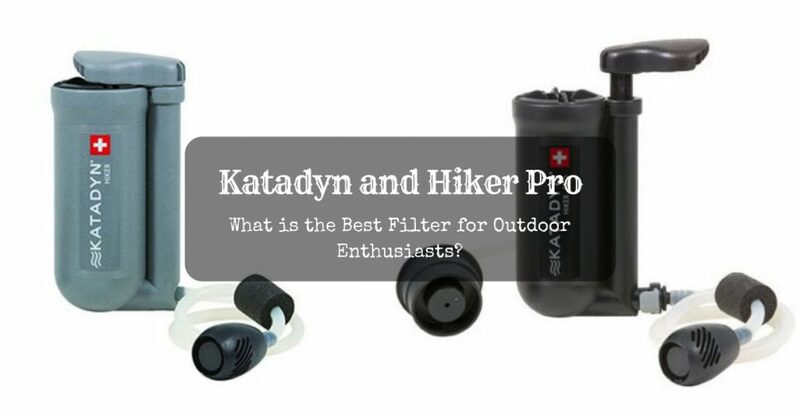 The Katadyn Hiker is also an efficient filter, but there are a few cons about it that you might need to reconsider before purchasing. Its hoses don’t take time to attach but it does take you a few more seconds before they are securely attached. Aside from that, the filters are expensive, thus replacing them will cost you more. It comes with a carry sack, water bottle adapter, and hose inlet upon purchase. It is cheaper compared to Hiker Pro. It can filter 0.2 micron-sized bacteria. The glass fiber can also filter silt and mud from the water. It produces 1 liter of clean water in one minute. Equipped with activated-carbon to keep water safe from toxins and other harmful chemicals. It weighs around 11 ounces, making it easy to carry around. Replacement filters can be expensive. Takes time to attach the hoses to and fro into the filter. The filters are not that durable. It has a better filtering process because of the filter protector. The filter protector is easy to clean. Upon purchase, you will receive a carry sack, water bottle adapter, hose inlet, and a maintenance kit to clean the filter. Its transparent container makes it easier to see if the pump is working well. The hose inlet attachments come with a quick-attachment feature. It is a little pricey compared to the Hiker. Given the PROs and CONs above, the best filter for me is the Hiker Pro. 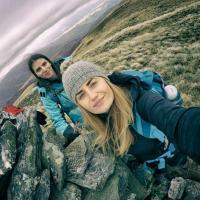 It has a better filtering process and comes with several features that were upgraded from the previous model which is the Katadyn Hiker. It has a durable protector which helps you save money from replacing clogged and broken filters. The Hiker Pro can be really pricey. However, it can be a good investment for the future. It is also more durable and efficient in getting clean water from other water sources. There were several things that didn’t change in the filtering system. Nonetheless, having a better filtering system is the winning factor of the Hiker Pro. With some issues with the Katadyn Hiker, its makers made sure to address issues before releasing the Hiker Pro. That’s why they see to it that they will be able to provide clean quality water for hikers and campers all over the world. 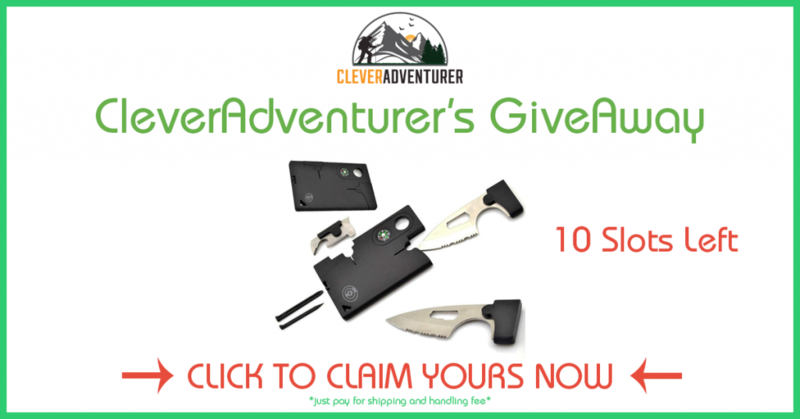 So, they created the Hiker Pro which is more efficient and durable compared to the previous model for all of the outdoor enthusiast out there.